After his album, God Over Everything peaked at #4 on the Billboard Reggae Charts, Patoranking’s career has kept an upwards trajectory. Sarkodie who was among the guest features on the record breaking album has teamed up with the singer for a new single of his own, “Many Girls (Kankpe)”. And if the success of their previous collaboration, “No Kissing” is anything to go by, we may have another smash hit on our hands. The afrobeat instruments on “Many Girls (Kankpe)” is credited to Monie Beatz who mashes up a mid-tempo drum riff with loud horns, a familiar piano harmony from from Phil Collins’ “Another Day In Paradise” and an electric bass line. The infectious beat and Patoranking’s vocals take front and center but there’s enough room for all the pieces that make up the song—a few bars from Sarkodie ending with his classic “Obidi Pon Bidi”, layered feminine vocals that listens like a call and response with Patoranking and the romantic narrative that is the bread and butter of pop music. Sarkodie and Patoranking are among the biggest names in African music. And though we can always trust their collaborations to take traction in the mainstream, there’s actually a lot to like about “Many Girls (Kankpe)”. The bounce and bump of the beat and Patoranking’s mellow vocals rides on the same wavelength of “No Kissing”. 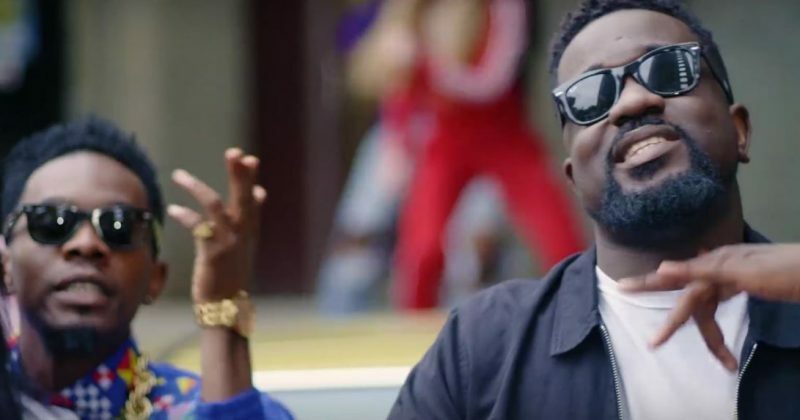 Listen to Sarkodie’s “Many Girls (Kankpe)” below.